We left Manila at around 2:10PM via Cebu Pacific Air and reached Kuala Lumpur at around 6:00PM. Since it was a package tour, airport-hotel transfer was provided so we have a ride to our hotel. 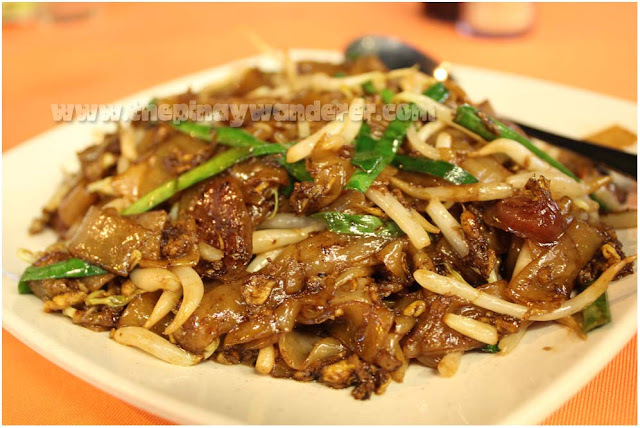 During the trip to the hotel, I asked the driver what Malaysian food should we try but he discouraged us and said that Malaysian food is full of fats, we might not like it (our driver looks like an Indian, maybe that's why...hehe!). 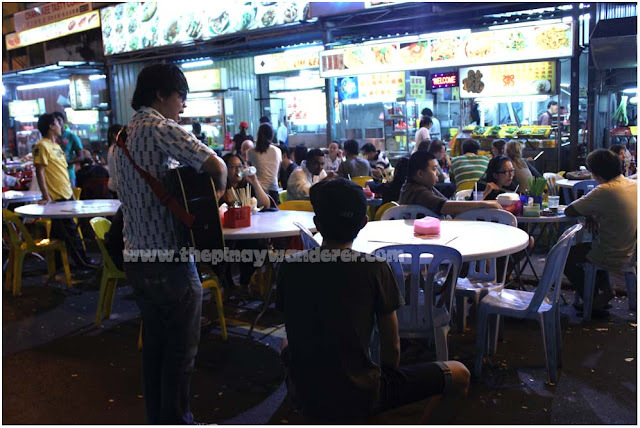 However, he was kind enough to show us the famous Jalan Alor, which is just walking distance from our hotel. 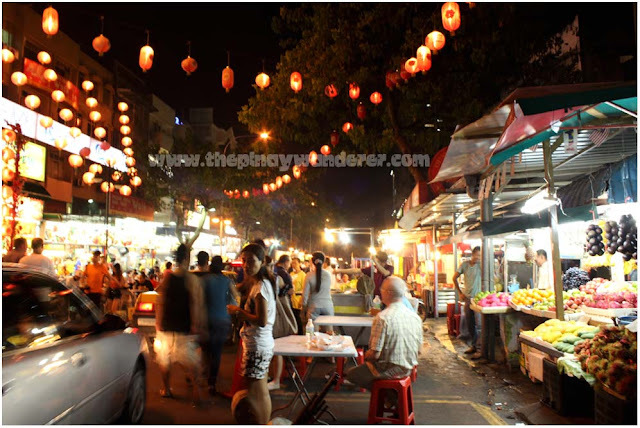 Jalan Alor is a street in Bukit Bintang area lined up with hawker stalls and restaurants. 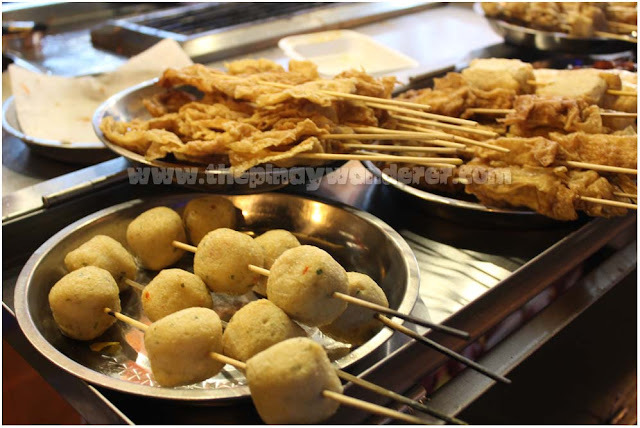 There are also those food carts like what we have here in the Philippines that offer dimsum and barbecue products. 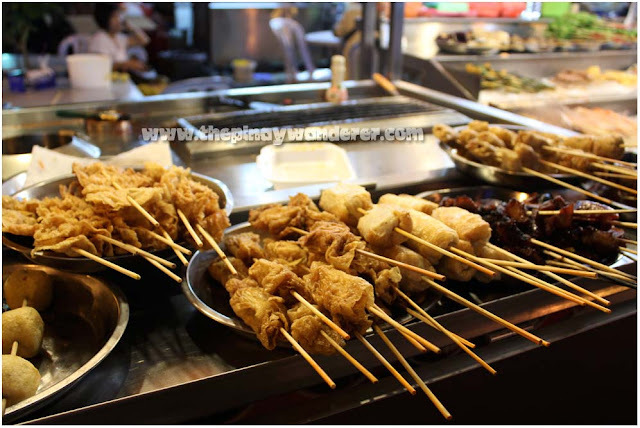 But instead of "isaw" (chicken intestine), "tokneneng" (quail eggs), "adidas" (chicken feet), etc., they have prawns, meats, and different kinds of dimsum on the carts. 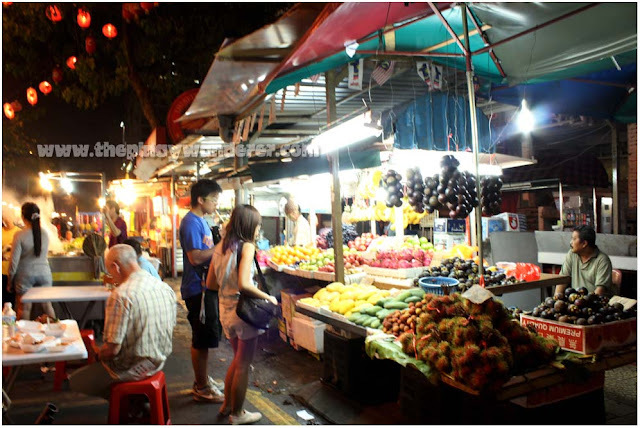 Fruit stalls also lined up the street. There's so many restaurants, stalls and food choices here, it's so hard to choose where and what to eat. 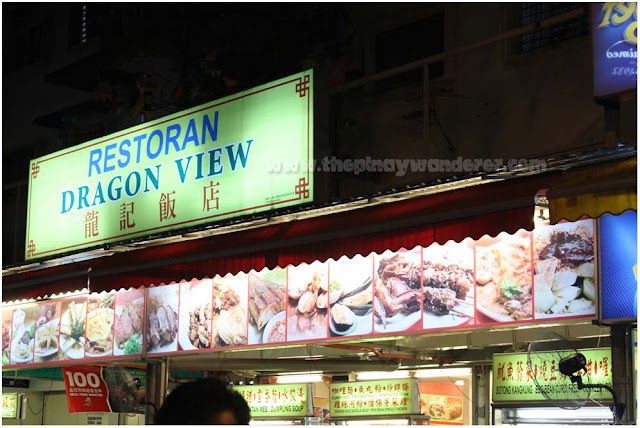 Anyway, we ended up trying Dragon View Restaurant, one of the Chinese restaurants in Jalan Alor. Kapag nagpunta ka ng KL, daan ka dito Joann, food trip talaga kase ang daming choices. NIce to see this place and what kind of food they served. New experience, new places. LOved it! Nagutom naman ako bigla hehehe. nagutom din ako ulit eh...hehe! Mukhang masasarap ang food ang daming kumakain o! mukang masarap yung mga food lalo na yung fried cockles..mouthwatering! Parang Manila o parang NCR lang KL, hehe! Naka-try kami ng indian food, super spicy, as in! jan yun meron fried cockroach, cricket,etc. sa malaysia? Wow, ang saya naman! Nagutom ako sa mga kinain nyo.. at talagang gutom na ko kaya makakain muna, haha..
Wow, 2 countries in one package tour, saya naman. tabi lang kase sila kaya sinulit na ang gala..hehe! 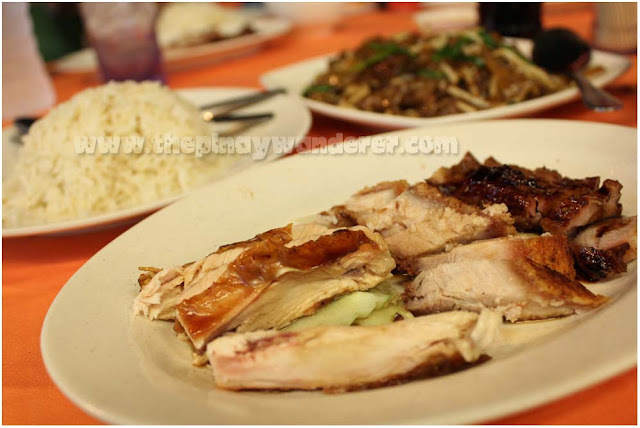 Ilang hours ang biyahe Singapore-Malaysia? Less than 1 hour lang girl, 55 minutes actually via Tiger Airways for less than P2k. Sa bus naman, nabasa ko eh 4-5 hours, depende kung madami stopover yun bus, more or less P1k naman yun pasahe. Ngek, pawis, luha at sipon ang kapalit ng gala na yan...hahaha! 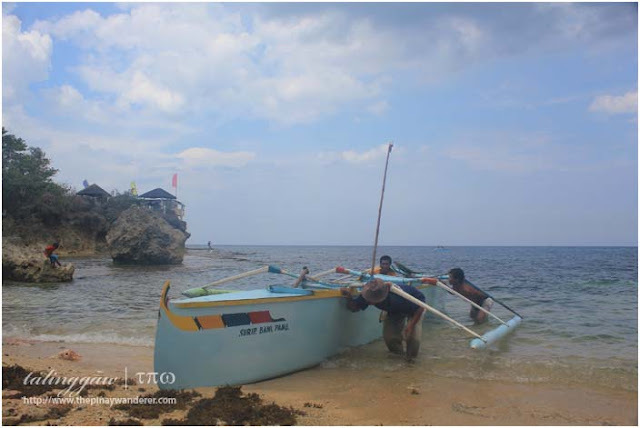 Next summer na ulit kapag may pera, sama ka...hehe! Basta di exotic, keri lang mag-try ng iba mga foods...hehe!